While calling for expanded background checks is nothing new for a political ad, the method of delivery in this one by Jason Kander is. Kander, an Afghanistan army veteran and Missouri senate candidate running against Roy Blunt, uses the 30 seconds to reassemble an AR-15 style rifle blindfolded while listing part of his service record, proclaiming his support for the second amendment and expanded background checks, then removing the blindfold and challenging Senator Blunt to also reassemble a gun. “I’m a gun owner and I believe that we need to have background checks,” said Kander at the opening of the Democratic party Kansas City field office on Sunday. National news outlets and online sites are responding differently. “I’m pleased to see people are really receptive to the message,” said Kander. 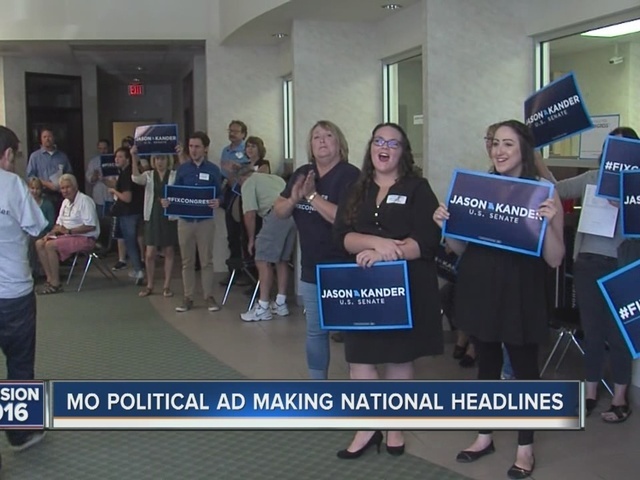 Will the advert add to Kander’s momentum? Answer: Still too early to tell. An Emerson College poll released Tuesday shows Kander with a two percent advantage over Blunt, while RealClearPolitics favors Blunt by 3.4 percent. A cumulative Huffington Post chart shows Kander has narrowed the gap over the past few months from an eight percent deficit in March to five percent in September. Senator Blunt has yet to respond to the ad.